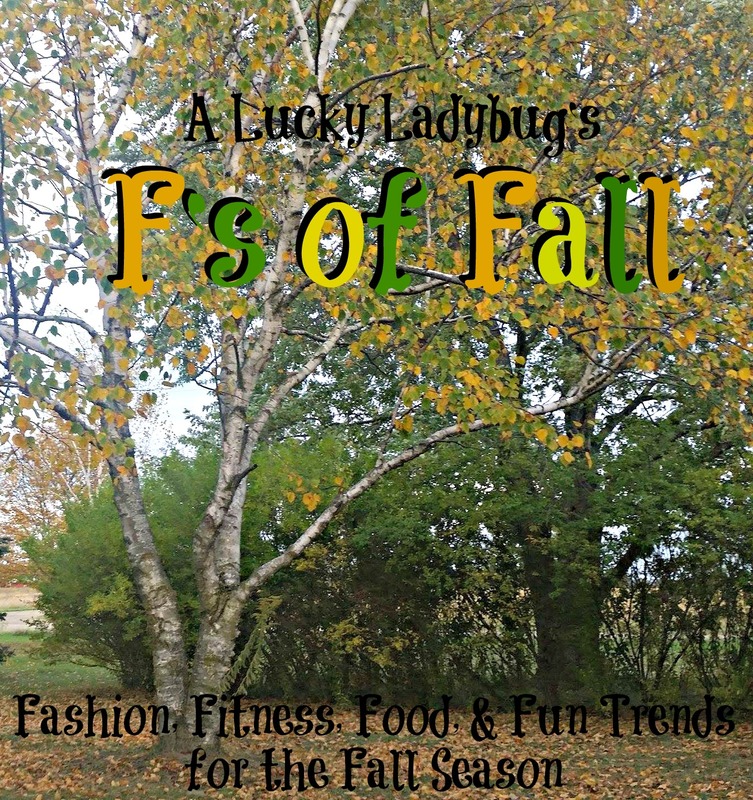 A Lucky Ladybug: Fall Fashion, Fitness, Food, and Fun! 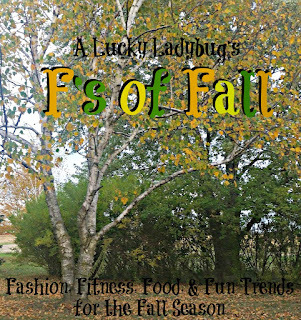 Fall Fashion, Fitness, Food, and Fun! With the Fall Season in full force and the holidays quickly approaching, this time of year can be an extremely hectic time. Kids are back to school busy with homework (and getting sick), Halloween is here, and soon you'll be planning and organizing for the holidays. It doesn't always have to be so stressful and A Lucky Ladybug has a few brands and products to make your fall a bit more FUN and HEALTHY! Keeping up witht he latest trends can be quite important for all ages regardless of the time of year. T-shirts are something that just about every one wears, even if it's just for going to bed or while enjoying a comfy day at home. T-shirts are definitely a universal clothing item which our family enjoys wearing quite a bit. More importantly we love to wear shirt with unique or funny sayings on them. When Teeconomist recently asked me to review one of their shirts, I was overwhelmed with the creative choices they had available online. "Teeconomist was created in one important goal in mind: to support talented artists/designers from all around the world." 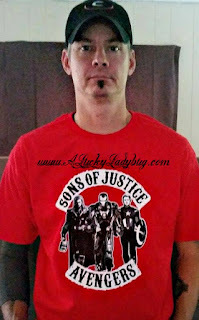 We quickly picked the Sons of Justice Tee by PichinsCreations and fell in love when it arrived. 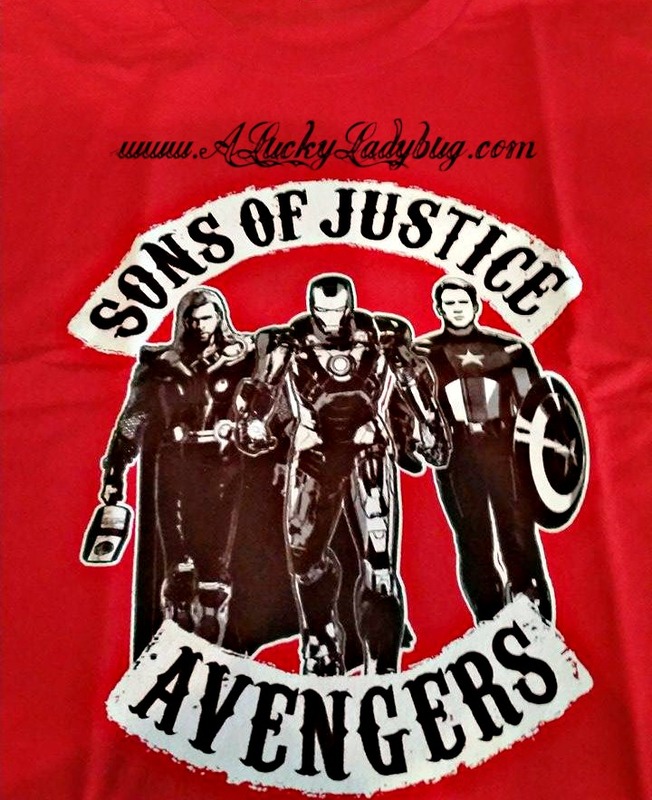 Being huge Avengers fans and obsessed with all things Son's of Anarchy, we thought this would be a cute shirt for Kevin this Fall. 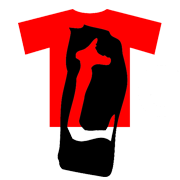 There are tons of unique t-shirt designs to choose from as well as artists. Plus you can follow your favorite designers easily with the social media links listed on each of their designs. 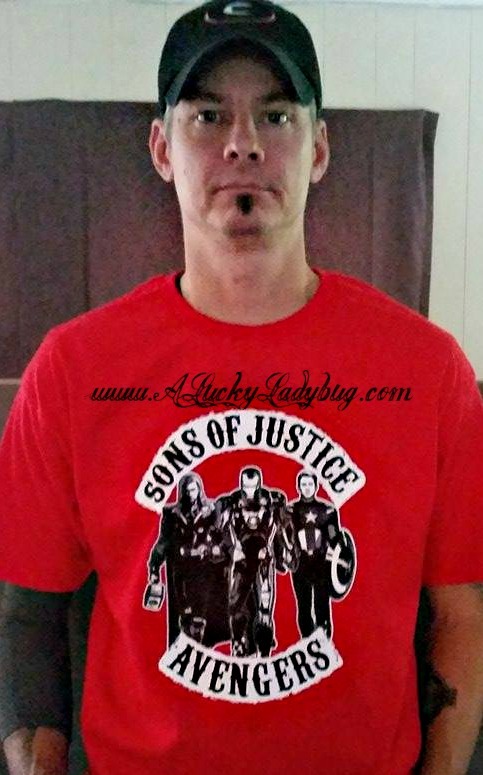 The quality is great and not only are you supporting an artist but you are able to keep on up the latest trends and unique designs for any member of your family! 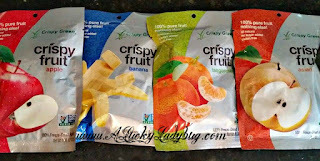 I've noticed pretty early on that it becomes very easy to grab a bunch of chips and other unhealthy snacks for the kids when preparing school lunches or snacktime foods for the little ones. It's even difficult to get the husband on board when it comes to munching on something in between meal times. This is NOT something I want to get in the habit of as I want my family to keep up their healthy eating habits in and out of the home. While I try to make a lot of my own foods and products, it isn't always the easiest when dealing with a busy schedule. 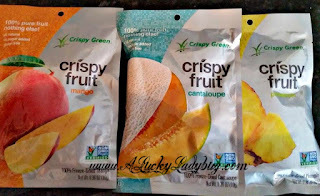 SO I am thrilled to find brands like Crispy Green which makes awesome snacks that my children actually enjoy like the Crispy Fruit. 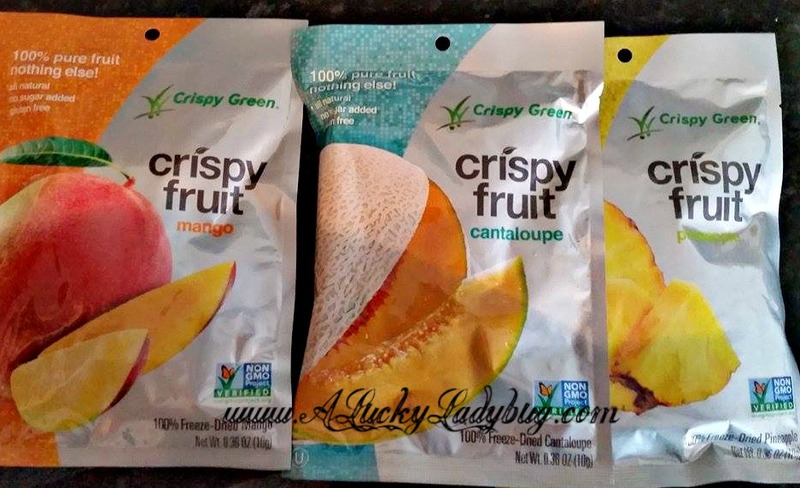 We were suprised to learn of all the varieties available including: Tangerine, Apple, Asian Pear, Banana, Cantaloupe, Mango and Pineapple. I was beyond happy to break these out the next day and the kids were so psyched most of the varieties only last through the next 24 hours. Not only did the kids and myself love these but they were a huge hit with the kids friends when they took them to school the next day. 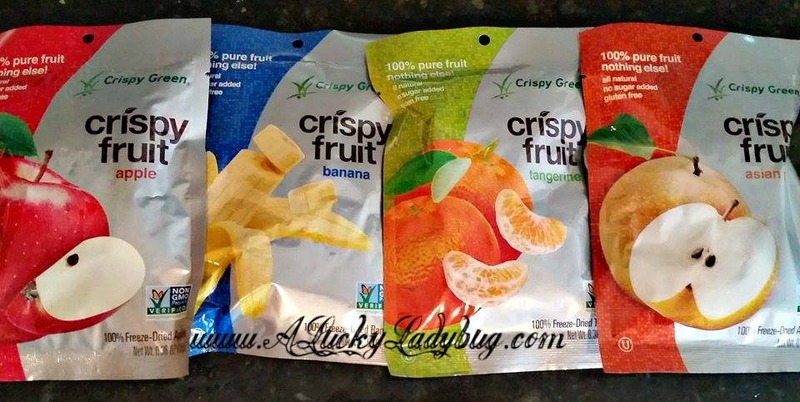 "Crispy Fruit snacks are 100% freeze-dried fruit slices that are made of real fruit and nothing else" so I can feel at ease that my family is eating healthy snacks as if I had made it from scratch myself. Just because it's getting cooler outside, doesn't mean you should lose your motivation to stay active. Keeping up an active lifestyle will make it easier when Spring and bathing suit season rolls around. 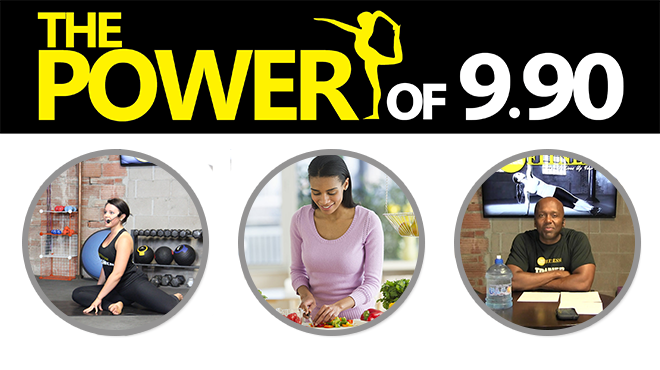 Lots of people find it difficult to fit fitness into their busy schedules. Whether they work long hours, have kids at home constantly, or just don't have the money for the gym, it can be difficult to get on the right track. 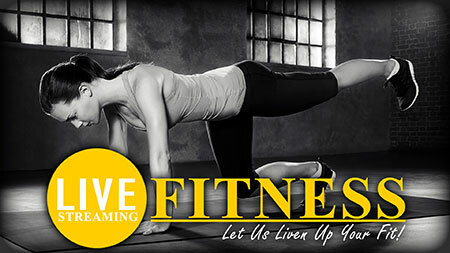 "Live Streaming Fitness (LSF) is an educational, cause-based fitness company committed to educating everyone, everywhere - excluding no one – to live their greatest life." Not only is there live fitness classes scheduled throughout the day so you can work out when you have time but the cost is beyond affordable compared to any other gym fee I've seen available anywhere. For just under $10 you have full access to everything LSF has to offer. With 24/7 streaming fitness classes, its pretty hard to make any excuses about not having the time. There are weekly health tips for those who need a little extra boost of help and guidance. 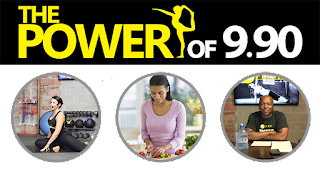 There is even on demand cooking classes for those hoping to get healthier on the inside too. Classes can be taken from the comfort of your own home, alone or with a friend. I really feel like I've finally got access to the type of program that will work for me as a work from home mother. 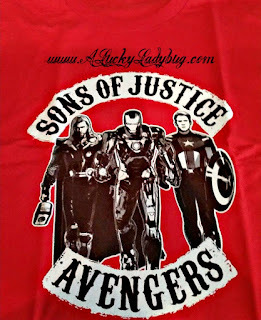 Yep, my youngest nephew would flip for that Avengers tee! (He's 6; he wouldn't get the Sons of Anarchy reference, lol.) I'll check them out! we wear a lot of tees in this family!